Place the stainless steel filter on the carafe and put medium ground coffee into the filter. Then drip the coffee by pouring hot water slowly. 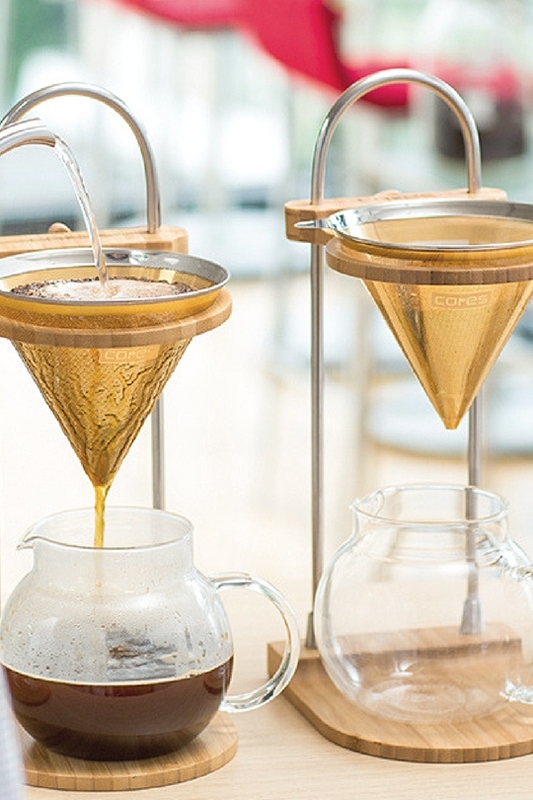 Coffee dripped through a stainless steel filter retains more coffee oil, which brings you the rich aroma of coffee. The stainless steel filter is durable, and so can be used repeatedly. You can see the dripping process in the glass carafe and know the amount of dripped coffee when it reaches the dot on the server. After dripping, you can place the used stainless filter on the holder, which comes as a set. The holder can also be used as a measuring cup for coffee beans. All parts are stackable to save space.